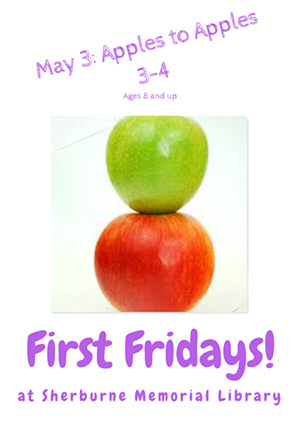 Apples to Apples | Sherburne Memorial Library | Games | Kids VT - small people, big ideas! When: Fri., May 3, 3-4 p.m. This First Friday event gets the weekend off to a smashing start with a group game. Ages 8 and up.